Famed for its hawker food, hand bags, clothings and not to mention pirated DVDs, Petaling Street remains as one of Kuala Lumpur’s popular tourist destination. If it was not for this blog, I would not have the chance to actually visit Malaysia’s very own Chinatown. Long story short, I am here to talk about the architectural styles at Petaling Street. Petaling Street goes way back in the 1800s. Yap Ah Loy was the crucial contributor to Petaling Street’s success. 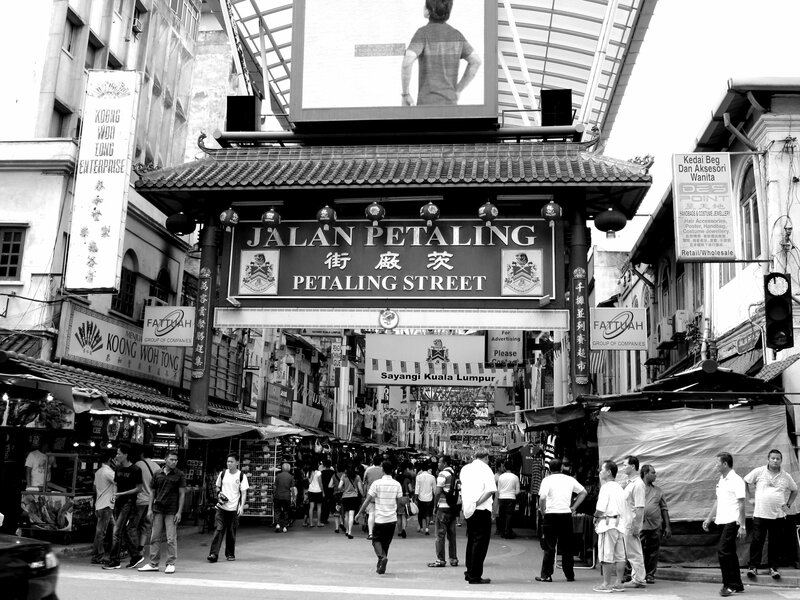 Petaling Street is also known as “Chi Cheong Kai” among the locals. You can see the vivid Chinese characters which resemble the words “Chi Cheong Kai” on the entrance gate above. I believe the name is in Cantonese. Clearly the entrance itself is a work of architecture applying traditional Chinese architectural styles. As you can see in the picture above, the entrance or gate is decorated heavily with its inclined roof and jade green tiles, painted red wooden beams with golden Chinese character cravings. These typical gates are usually found in Chinatowns all over the world. The traditional Chinese gate has since set an identity for Chinatown. Hence, it made an important impact by making it easy for people to recognize Chinatown at first glance. The second type of architectural style found at Petaling Street is the Art Deco style which is very influential during the 1920s. The Art Deco style is known as a quirky architectural style combining traditional craft motifs with Machine Age imagery and materials. Rich colours, bold geometric shapes and lavish ornamentation is often associated with Art Deco. Clearly enough Popular book store at Petaling Street is constructed in the Art Deco style. I personally think that the British might have brought in this architectural style into Malaysia (then Malaya) during their occupation here. As you can see in the pictures above that the book store is actually a masonry made out of concrete blocks painted in bright and bold colours such as yellow, blue and beige. The space between two levels of window panels are also intricately decorated with squarish details. The window panels itself also had rectangular frames designed in a very neat and elegant manner. 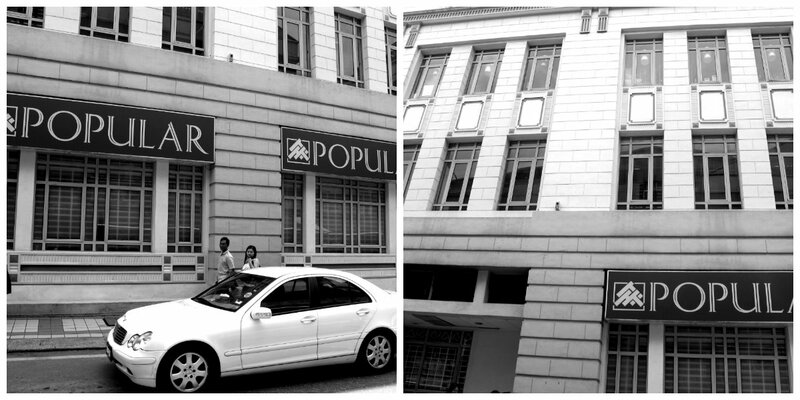 Undeniably, the Art Deco style still lives in this particular building at the corner of Petaling Street. Clockwise from top: Colonial Baba and Nyonya Style Window Details, Chinese Traditional Signboard, Interior of a Baba and Nyonya Style Shop House, Exterior of other Shop Houses. 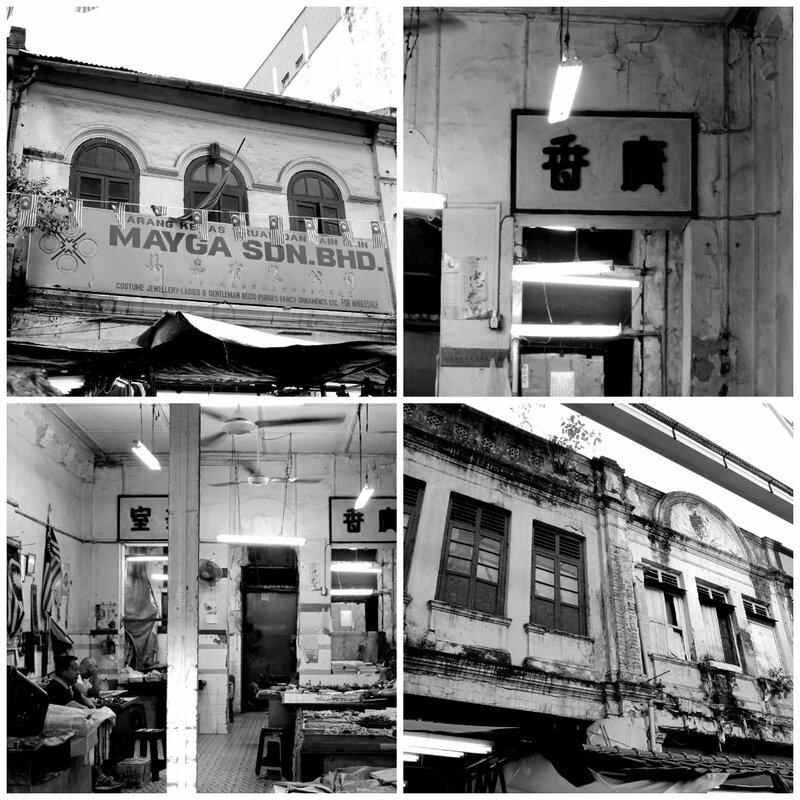 Lastly, I would like to highlight the main architectural style evident at Petaling Street- The Baba and Nyonya style. The Baba and Nyonya style is very common in Malaysia. You can easily find these kind of buildings or shop houses in Penang, Ipoh, Malacca and some parts of Kuala Lumpur. It is somehow our identity as Malaysians. A prized heritage that we can no longer find anywhere else. The Baba/Nyonya architectural style consists of a elongated rectangular floor plan, usually two storeys high with a significant 5-foot-walkway as initiated by the British in the 1800s. The exteriors commonly had 3 window panes intricately decorated and above the main doors you would find a traditional Chinese signboard bearing the surname of the family or name for the shop. To be honest, it is quite a shame that the shop houses at Petaling Street are not properly conserved and preserved. These national gems are precious to our Malaysian culture and history and we should make an effort saving them from tarnishing and disappear as time swallows them up. As a whole, Petaling Street is a pleasant place to visit for eclectic architecture. I just hope the authorities would pay more attention towards the buidlings.